We love Nell Thorn! Always great service, wonderful food, and the atmosphere couldn't be better. We always look forward to having a meal here. The Nell Thorn waitstaff are welcoming, attentive, and a primary feature of this restaurant. They are somehow invisible but suddenly appear just as I need their attention. Brilliant! Probably won’t come back again! Expensive for what we were served! During tulip time it is very busy and a reservation is advised. I had requested a window seat but did not get one. 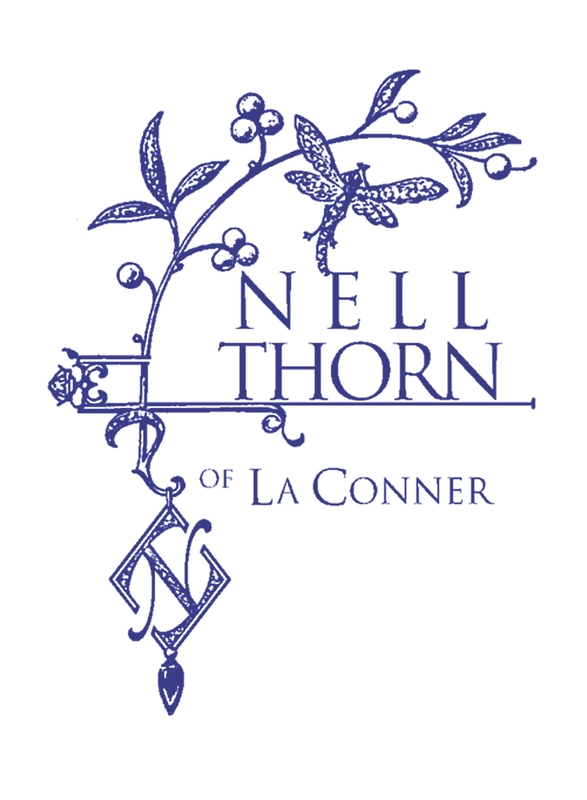 We travel to La Conner twice a year, mostly to eat at Nell Thorn. My wife had Halibut and crab ravioli. Halibut was the best. Ravioli was not very flavorful. My steak was delicious. I had crab cake appetizer and first crab cake was delicious second was not as good. Thank you for a wonderful and delicious lunch with friends. The restaurant was very crowded, but the tables are well placed so you do not feel pinned in. The servers are very friendly and know the menu! We were lucky enough to get the window table we requested in our reservation. The hostess kept us well informed of the table availability. Will be back. Nell Thorn is a gem. With a gorgeous setting, great menu, and fantastic food (often sourced locally), it’s easily worth a trip from Seattle. Paired with a trip to tulip fields, it’s a perfect spring journey. I only wish I could come more often! Great seafood choices and good wine! Love this place. Have been coming here for years. This trip, however, I ordered a salad and asked to have 4 shrimp added to the top for some protein. When I received the bill, turns out shrimp are $4 each (medium sized) for $16. As much as my salad. Would have been nice to have the server give me a little heads up about the price for each shrimp. $32 for a salad! Toni was the perfect waitress. She was there at the perfect times, had a great sense of humor, gave great suggestions, and we never felt rushed. Dinner was amazing. The polenta appetizer my favorite or was it the desert. The wine suggested was new & wonderful. All four of us had never been but we will be back. Nell Thorne is our new favorite. And thank you for taking us a little early. My friend had an art opening & had not eaten. We were surely glad we did not have to cancel. Cheers to the chef ! Making the reservation online could not have been easier - even on a day the restaurant was closed. We got a table by the window just as we requested and even a candle in the dessert we had ordered as we were celebrating our 49th wedding anniversary. We will be back soon! Delicious meal. Wonderful for a special event. Casey, Susan and the Nell Thorne staff have created a wonderful place to dine and socialize with friends and family. We are so glad they live and work in LaConner! This is such a special place and we love to celebrate life moments at your restaurant. So there was no question that on our 15th Anniversary we had to go to Nellthorn to mark the special occasion. The service was amazing and the appetizers, drinks, main courses and dessert were just over the top. Loved every minute!!!! Thank you for making our special milestone so great. The service was excellent. We really enjoyed the wine and excellent food. We were four longtime friends that really enjoyed the atmosphere along with our delicious wine and food, so well presented. The restaurant was beautiful with a gorgeous sunset view over the river toward the rainbow bridge. We ordered two appetizers between four of us, the oysters and crab cakes, they were fine, but the aioli was really just mayo and then mayo with lemon, no great flavor. We waited a half hour for our appetizers, after those we waited another half hour for our food. The steaks were fine, but they didn't depend on the flavor of the steak, it was heavily sauced which was ok, but we were under the impression the steak was what they were known for and that was not anything to rave about? They also messed up omitting a dietary restriction item from one of our plates? It wasn't something mixed in, so she just scraped it on a side plate and the waiter went "oops sorry about that, they must not have read it." At the price of their menu items, you would think they would have had a better solution. I know people love it here, maybe we just hit an off night. 16March2019. Home made pasta at Nell Thorn is extraordinary. Thank you for another spaghetti & veggies dish that was both beautiful & tastey. Something special (anise?) was in it that I loved. Dessert was the cranberry sorbet, shared with friends. Again, wonderful, light, memorable. 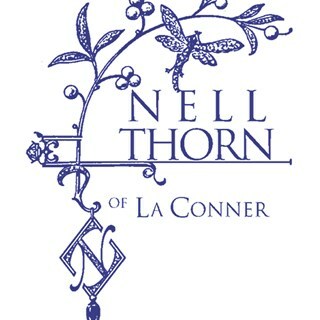 I'd like to win the "Nell Thorn Lottery" and eat in LaConner weekly. When are you going to sell tickets?! Fantastic food with an extremely creative flair. Service is first rate. Nell Thorn provides inspiration for my home cooking binges. Oh, and the Turmeric Tequila drink was a hit!